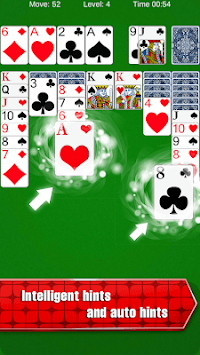 Classic Solitaire is a popular and classic single player card game. Classic Solitaire is one of the most famous Patiences and is played by young and old people around the world. Whether clubs, leagues or individual rule sets, Classic Solitaire Palace gives you all, a true Classic Solitaire fan needs. Solve your table and challenge your friends. o	Expectation values show you where you can improve. You will play Klondike live against real players, but don’t worry, you don’t need to rush because at the end the player with the most efficient solve gets the most points. You will find beginners as well as pros playing with. Download the App now and for free. 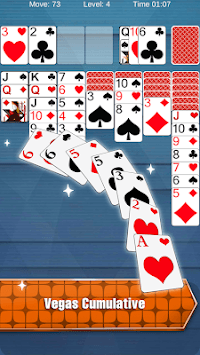 Enjoy your game of Classic Solitaire. 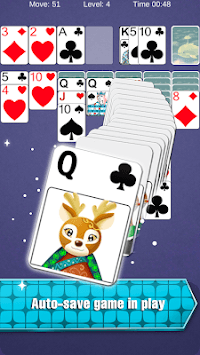 Play Solitare Palace now for free and without advertisement. Have fun and enjoy our game.